Cape Town - Rooibos Limited is accused of abusing its dominance by inducing rooibos tea farmers not to deal with rooibos tea processors it competes with. The largest processor of rooibos tea in South Africa has been referred to the Competition Tribunal for prosecution, the Competition Commission said on Monday in a statement. The Commission is seeking an order from the Tribunal declaring that Rooibos Limited has contravened the Competition Act and that the company is liable to pay an administrative penalty equal to 10% of its annual turnover. “The Commission is concerned of Rooibos Limited’s ongoing anti-competitive conduct, particularly as this hampers the growth of the agro-processing industry in South Africa," said Deputy Commissioner Hardin Ratshisusu. "Dominant firms have a special responsibility to ensure they do not stifle competition,” he added. The Commission probed Rooibos after it received a complaint in 2015 from a processor of rooibos tea. The Commission explained that the investigation focused on Rooibos Limited’s monopolisation of rooibos tea supply from rooibos tea commercial farmers, in order to foreclose its competitors in the processing level of the value chain or prevent the expansion of its rivals in the market. Rooibos tea only grows in the Mediterranean climate of the Cederberg region’s acidic soils in areas such as Clanwilliam, Graafwater, Citrusdal and others. Rooibos tea is a unique caffeine-free product containing extremely high levels of anti-oxidants and grows nowhere else in the world. 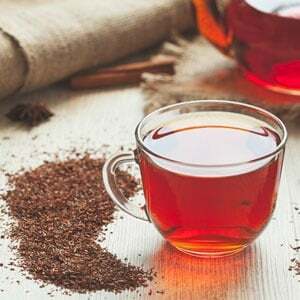 The Commission said in view of the fact that rooibos tea is only grown in a small geographic region, its source of supply is limited and access to it by rooibos tea processors is critical for them to remain competitive in the market. "Although there are about 220 rooibos tea commercial farmers all based in the rooibos producing areas in the Western and Northern Cape, only a limited number of rooibos tea commercial farmers contribute the bulk of the total production of rooibos tea which is supplied to rooibos tea processors." It explained that rooibos tea processors purchase rooibos tea from rooibos tea commercial farmers in bulk and then dry and treat rooibos tea which is then on-sold to the local packers and the export market as a bulk product for packaging into final products and other value added products. "Rooibos Limited remains a dominant player in the processing of rooibos tea by virtue of the fact that it inherited the assets and the monopoly position previously occupied by the Rooibos Tea Control Board, which was established in 1954 by the previous government to, among other things, regulate the marketing, pricing and research in the rooibos tea industry. Some of the entrants in rooibos tea processing were formed by famers who were discontent with the monopoly position of Rooibos Limited." Historically, rooibos tea processors obtained their supply of rooibos tea from farmers through one-year supply agreements. "However, in 2014 Rooibos Limited introduced two exclusionary contracting strategies to lock-in or foreclose the supply of rooibos tea from farmers, thus starving its competitors of access to a product that only grows in a small geographic region." The Commission said Rooibos Limited entered into long-term supply agreements with farmers for the period 2014-2018. "In terms of the agreements, farmers are required to supply stipulated volumes of rooibos tea to Rooibos Limited." Rooibos Limited also introduced a supply commitment in exchange for farmers gaining access to its production research output. In particular, farmers are required to supply up to half of their production to Rooibos Limited. "Rooibos Limited exploited its research output to lock-in the supply of rooibos tea from farmers after the collapse of the research function undertaken by the South African Research Agricultural Council in 2014." The Commission said the introduction of these exclusionary contracting strategies locked-in significant volumes of rooibos tea production from commercial farmers in favour of Rooibos Limited and negatively affected its competitors in the market for the bulk processing of rooibos tea. "Subsequently, Rooibos Limited’s volumes of rooibos tea purchased from farmers, which were in serious decline at the time, significantly escalated and its main rival’s purchases of rooibos tea either declined or stagnated, thus threatening the competitive process in this market."